A: Hi there! My name is Karlee Frascini. I am a hairstylist and makeup artist in Sand Springs, Oklahoma. I am married to a wonderful husband, Nick, and dog mom to a precious, spunky Pitbull named Dugie. I have been doing hair and makeup professionally for almost 4 years at Salon 7 and adore my job. Question 2: What got you interested in makeup artistry? A: Makeup has always been something that has sparked my interest since I was a little girl. I wanted to get in to my mom's makeup ALL the time, even when I wasn't supposed to. I never knew the extent of the artistry until I probably got into college. Pinterest was a very big thing at the time and YouTube was blowing up with influencers all across the world and that was my constant entertainment. 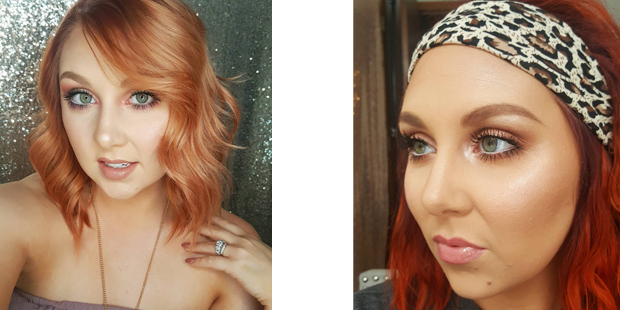 Jaclyn Hill was truly my inspiration for makeup artistry and I definitely give her credit for her amazing talent! 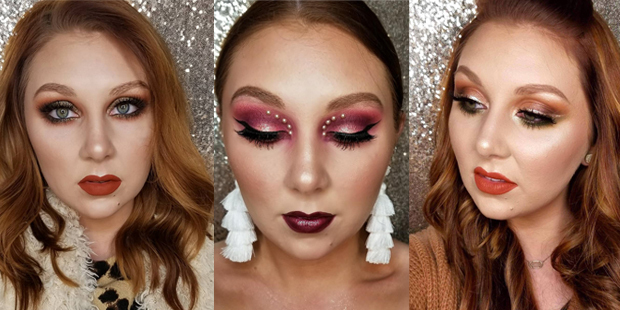 I realized how much of an art makeup could be and I began dabbling into different products and different looks that I could create. Question 3: What do you enjoy most about the beauty industry? A: The beauty industry all started at the very beginning when woman was made. We are all made in God's image and I believe one of my callings in life is to help people see the beauty He sees in them. Makeup artistry and hairstyling gives people a chance to express themselves outwardly and to paint a canvas every morning. It shows that you don't have to be creative in only painting a picture or drawing on a piece of paper. Women can enhance themselves to feel empowered and confident in how they carry themselves. I've had many clients come in the door and sit in my chair and they're not having the best day or the best week. In the time frame that they sit in my chair to when they walk out my door, they grow 3 inches tall and their smiles stretch from ear-to-ear. Making people feel their absolute best is my favorite part of what I do. Question 4: What are the biggest mistakes you see ladies make when it comes to makeup? A: I would have to say the number one mistake I see women make is not putting in a strong effort to take care of their skin. No matter how tired you are... Don't sleep in your makeup! My number one piece of advice to give any woman is to take off your makeup and develop a skin care regimen before you go to sleep, and then continue that regimen in the morning after your beauty rest. Poor Skincare will be your number one downfall in applying makeup. If you have oily skin that doesn't mean you don't need to moisturize. It means your skin is screaming for moisture! Do some research in your area about a local esthetician or dermatologist and see what regimen could be the best for your type of skin. There is no quick fix product that will apply for every single person on the planet because everyone's skin is completely different from one another. Question 5: What makeup product do you swear by? A: I would have to say there are two products that are really important in doing a makeup application: a face primer and a facial setting spray. After you moisturize your face, using a primer that fits your skin type will prep your skin and elongate your makeup application to last much longer. Smoothing out the pores, controlling oil, helping foundation stick, etc. I also noticed after all is said and done using a setting spray creates a more flawless and put together look. It also elongates the wear of your makeup as a whole. Some people have said to me "isn't that just water in a bottle?" And I just say that sure, it is water in a bottle, but it contains so much more than that. There are tons of different kinds for different specifications like prolonging your makeup, oil control, and just to refresh and revamp your face after a few hours of wear. Question 6: What facial care product do you swear by? A: Recently, about 10 months ago, I decided to really dive in and invest in my skin. I use a medical grade skin care line called iS clinical. Medical grade skincares dive deeper into the deeper layers of skin that some drugstore skin care lines can't penetrate to. It gets to the root of the problem and continues to improve overtime. I've noticed a huge improvement in some of my problem areas and it has even improved areas that I didn't even know needed an improvement. I would also have to add to this: SUNSCREEN. Did you know that 80% of visible signs of aging are caused by UV exposure? Yes... It can be frightening to hear, but the sooner you start protecting your skin from the sun, the longer your skin will hold on to its youthful appearance. So protect your skin, ladies! Question 7: What are your 3 fav red lipsticks for the fourth? A: I can't believe I have to narrow this down! There are many different types of lip products for different looks you're going for. When we think "Fourth of July makeup" our minds definitely go to a bright bold red lip. When I wear a red lip I usually like to use a matte formula like the Kat Von D liquid lipstick in Outlaw. Also another favorite liquid lipstick of mine is in the color Redrum from Jeffree Star cosmetics. 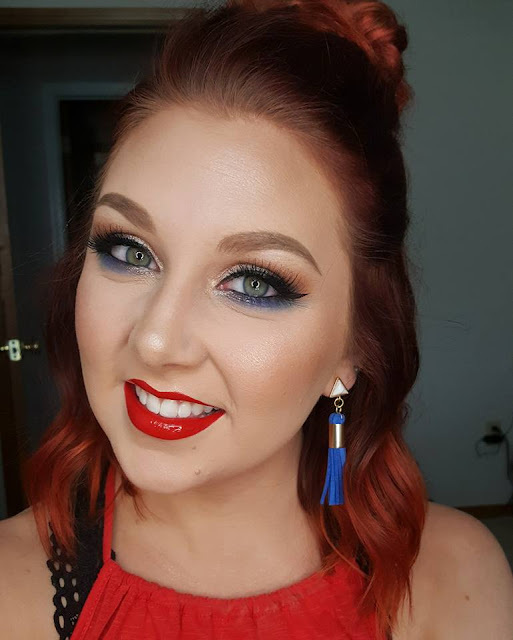 If you were more of a glossy girl or you like a cream sheen finish, Russian Red from MAC or Lipsense Blu Red are great options for a glossy summary red lip. 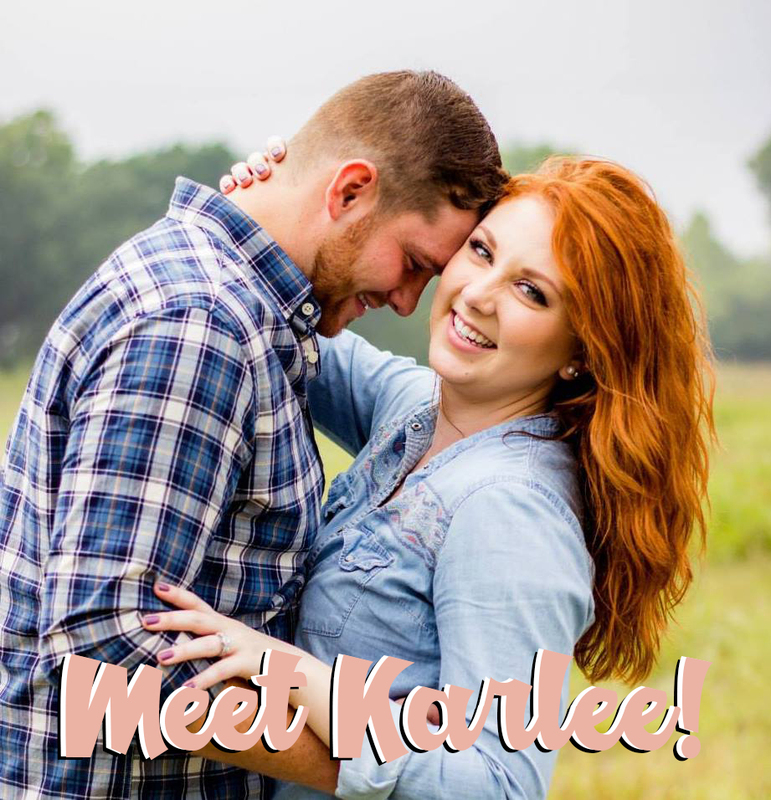 Follow Karlee on Instagram to see more make-up inspiration! Check out a Light + Breezy Makeup Tutorial for the Summer with Karlee here!